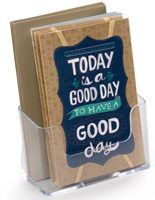 Rear Support Helps to Keep Pocket Upright. 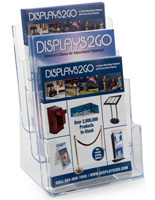 8.75" Width Great for Magazines and Flyers. 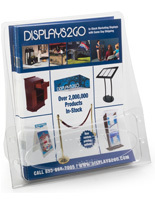 Made of Molded Plastic for a More Affordable Fixture. 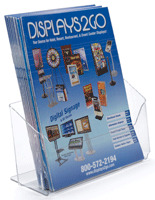 These plastic tabletop literature holders are more affordable than their acrylic counterparts because they are made of molded acrylic, but they are still quite durable. 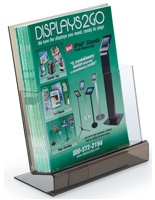 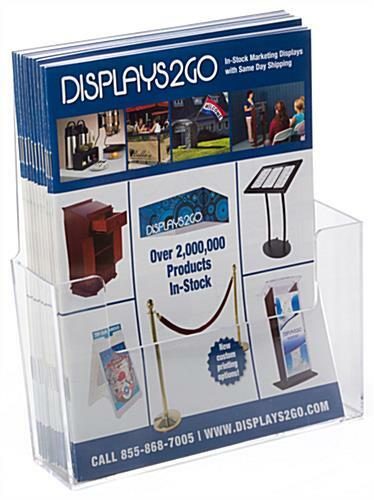 The single pocket countertop display is 8.75” wide for the ability to present magazines as well as catalogs and flyers. 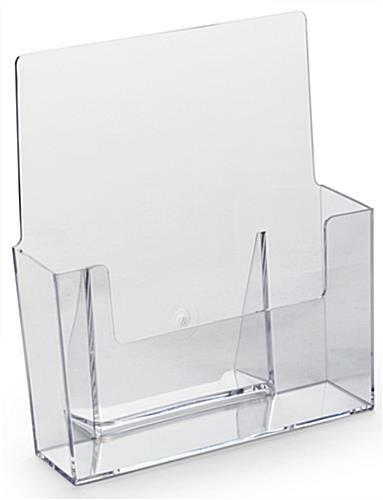 The literature holders that are clear are able to allow complete views of what is being stored for customers. 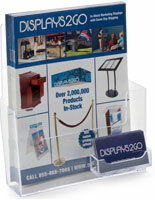 The single pocket comes with a rear support that adds stability to the entire unit to keep it standing on countertops. 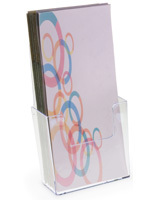 The holders have a front cut out that is best used with more rigid materials and a high back to keep magazines from bending backward. 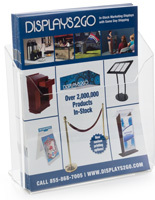 The clear displays while not made of acrylic are still a great addition to everyone’s advertising plan.